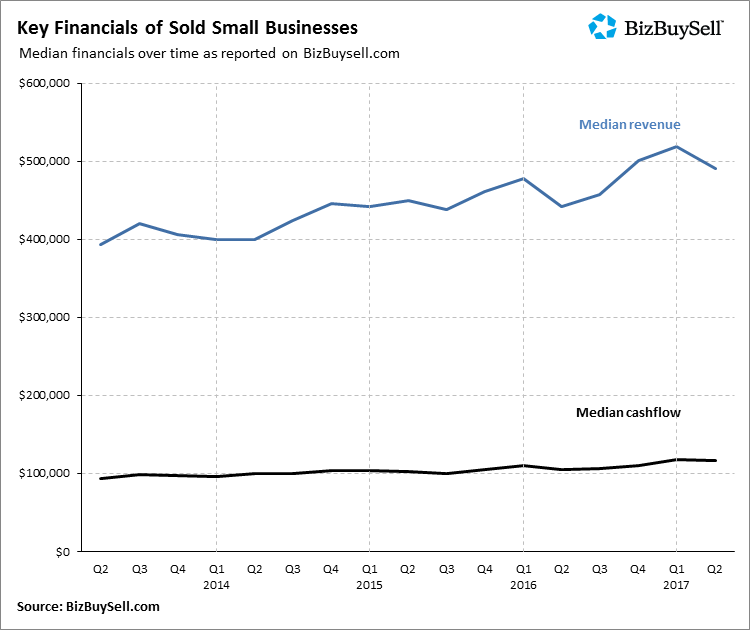 BizBuySell, the largest on-line platform for business sales, has released their second quarter report on small business transactions for 2017. These reports continue to confirm the results of our own Exit Planning Survey, which identifies business owners are increasingly confident about selling their business. On track for a record-breaking year in small business sale transactions, the quarterly transactions again set new highs, totaling 2,534 businesses sold for Q2 2017. This brings the year-to-date total to 4,902 transactions, well above last year’s record-setting close of 3,775 during the same period in 2016. The median revenue for 2017 show an 11% increase from Q2 2016. However, median revenues and cashflow for Q2 2017 fell slightly from the previous quarter. Higher sale prices and fewer days on the market for 2017 are benefiting seller’s market. 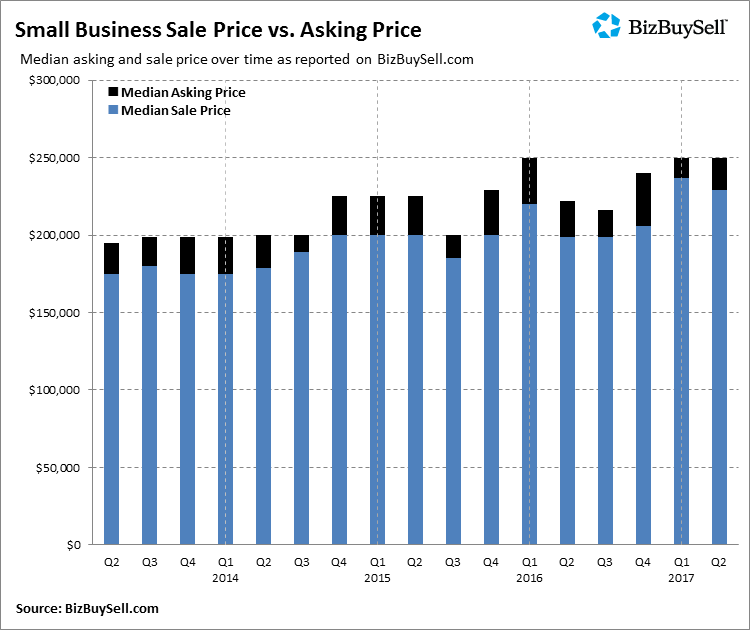 Even as seller’s demand higher asking prices for their businesses, BizBuySell reports sales are closing at a faster pace. Q2 2017 deals were on the market for a median of 168 days versus 178 for the year-over-year comparison. 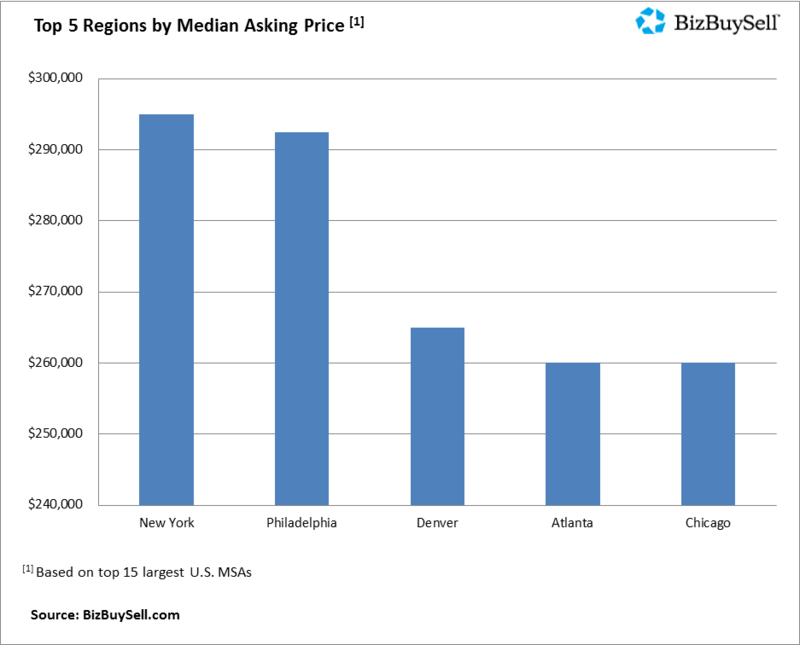 Sale prices rose across the US, particularly in the Northeast where the region saw a dramatic rise in median sale price of 31%, according to BizBuySell.